We all enjoy the best of both worlds. Show people you have a good and bad side with this wall sticker. 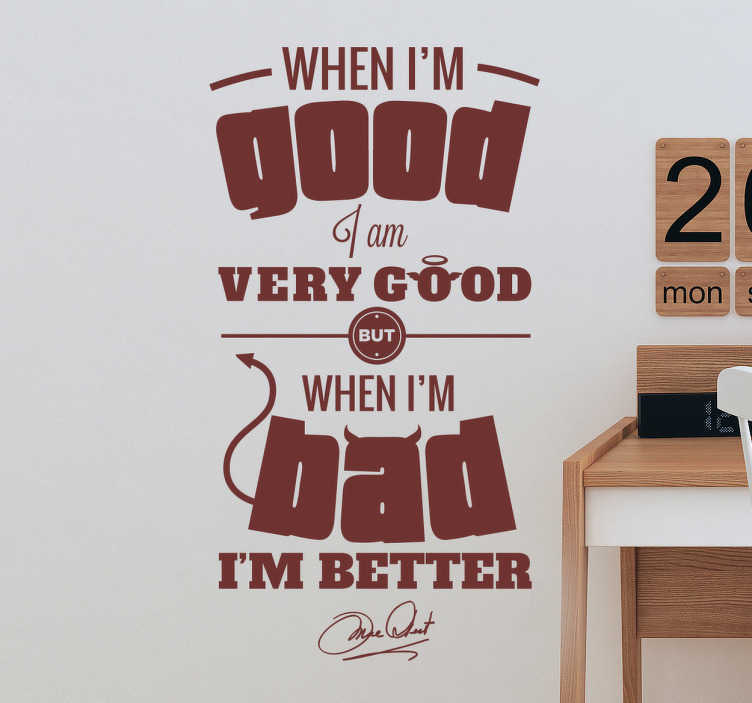 The quote wall sticker consists of the text "When I'm good I am very good but when I'm bad I'm better." The word bad has devil horns coming out of the letter "a" while the devils tail comes out of the letter "b". This sticker is available in many different colours and sizes.